New to switchgear operation? This course is suitable for both electrical/non-electrical personnel and is an excellent starting point if you are aiming for full switching authorisation. 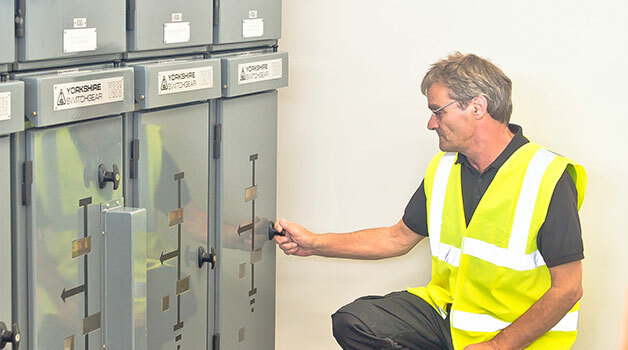 Book your place on our Safe Operation of HV/LV Switchgear training course today by filling in our online booking form to the right, or by calling the team directly. Learn the basics of safely performing switching on high and low voltage electrical systems with this hands-on, practical training course. Made for both those with electrical experience, and those new to the field, this course will outline the principles behind performing switching on power systems up to and including 15kV, giving you a thorough understanding of the process plus practical experience of actually performing switching operations. The course aims to enable you to familiarise yourself with operational procedures and potential physical constraints associated with high voltage power systems, prior to receiving full authorisation training. This course is ideally suited as an entry-level course before advancing on to the HVSO4 course (Safe Operation of High Voltage Power Systems – Full HV Switching Authorisation). Although there are no specific requirements for this course and it is suitable for both electrical and non-electrical personnel, an understanding of the basics of electricity and electrical systems would be an advantage. If you are interested in this course and would like to find out more about the content, other courses on offer or would like to find out more information about PASS itself and the facilities available to you, contact the training centre where an advisor will be happy to answer all your questions.